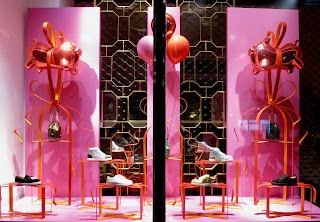 That time is nearly upon us when Hearts in all sorts of combinations fill the windows across town. That is of course unless you are this brand? Is this their Valentines promotion? 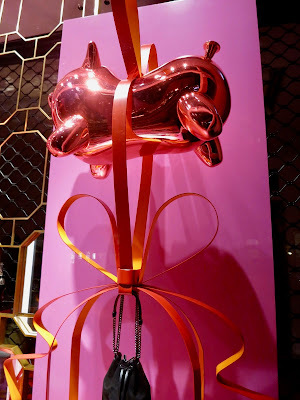 We don't know, however flying Pigs(?) 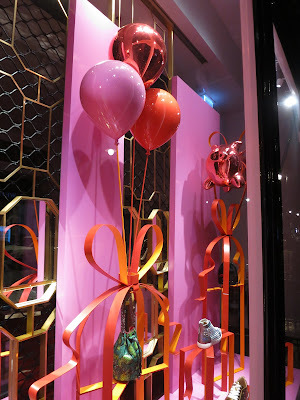 in the style of Jeff Koons and the repetition of balloons and bows fill their Mount street store windows right now.